Memorial movies: Memorial Day weekend is Hollywood's traditional launch pad for the summer movie season. Although the past 10 years have seen Marvel superheroes kick off May to supersized boxoffice results, they arrive early in the month when kids are still in school and adults aren't vacationing yet. Summer, at that point, is still about a month away. Typically, no other ultra-high profile pictures follow closely on Marvel's heels the way they do during the fiercely competitive summer movie season that really begins with the four day holiday weekend built around Memorial Day that ends the month. A parade of big new films, including many blockbuster franchise episodes, starts marching into the multiplexes post-Memorial Day and doesn't stop until Labor Day. In the 1980's and '90s, distributors often opened their Memorial Day weekend films on Wednesday, creating a six day holiday period through Monday. In that game plan, Wednesday and Thursday served, in effect, as paid preview days to jump start word-of-mouth. But by bringing out moviegoers who just couldn't wait to see these films, the studios were taking money away from their opening weekend grosses. These days, thanks to massive marketing spends and very high profiles, distributors favor Friday openings that generate powerhouse first weekend ticket sales. This time around, two titles are debuting for Memorial Day weekend and three films arrived last weekend to position themselves so that their second weekend benefits from moviegoing expanding for the holiday. 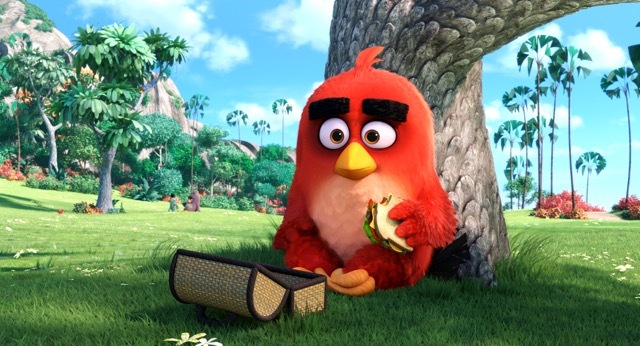 Last weekend saw the PG rated 3D animated action comedy "The Angry Birds Movie" from Columbia Pictures and Rovio Entertainment fly into in first place with $39 million. Universal Pictures' R rated comedy "Neighbors 2: Sorority Rising" took third with $21.8 million. And Warner Bros. and Silver Pictures' R rated crime thriller "The Nice Guys" was fourth with $11.3 million. Two holdover blockbusters also performed well and should enjoy good holiday weekend ticket sales. Marvel and Disney's PG-13 rated 3D sci-fi action thriller "Captain America: Civil War" finished second with $33.1 million and a domestic cume of $347.4 million after three weeks. "War's" international cume is now $706.1 million, bringing its worldwide cume to $1.05 billion. "'Captain America: Civil War' has now crossed the $1 billion global mark to become the fourth Marvel Cinematic Universe film to surpass the $1 billion threshold, joining 'The Avengers' ($1.518 billion), 'Avengers: Age of Ultron' ($1.405 billion), and 'Iron Man 3' ($1.215 billion)," Disney said Sunday. "'Captain America: Civil War' is Disney’s 10th billion-dollar release out of the 25 films that have reached this milestone in the history of the industry. Having crossed the $1 billion mark, it also has now passed 'The Dark Knight,' 'The Hobbit: Unexpected Journey,' 'Alice in Wonderland,' 'Star Wars: Episode 1,' 'Jurassic Park' and 'Pirates of the Caribbean: On Stranger Tides' to become the 19th highest grossing movie of all-time to date globally." Walt Disney Pictures' PG rated 3D fantasy adventure "The Jungle Book" was fifth with $11 million and a domestic cume of $327.5 million after six weeks. Through last weekend, according to comScore, ticket sales for the year to date were up 5.8 percent compared to this time a year ago. This Friday (May 27) will bring Walt Disney Pictures and Roth Films' PG rated 3D fantasy adventure "Alice Through the Looking Glass" at about 3,700 theatres. It's from director James Bobin ("Muppets Most Wanted") and producer Tim Burton, who directed the first "Alice in Wonderland" franchise episode. "Glass" should play best to family audiences and, especially well, to moms-with-kids. In this episode, Alice (Mia Wasikowska) returns to the fantastical realm of Underland, traveling back in time to save the Mad Hatter (Johnny Depp). 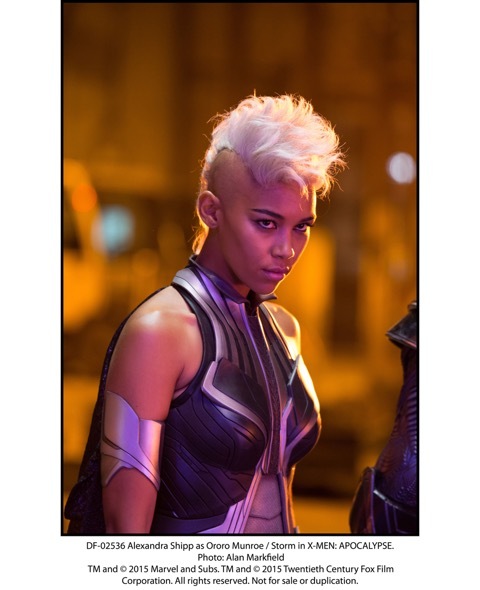 Also on deck for Friday is 20th Century Fox and Marvel Entertainment's PG-13 rated 3D fantasy action adventure "X-Men: Apocalypse" from "X-Men: Days of Future Past" director Bryan Singer at about 4,000 theatres. Starring are: Jennifer Lawrence, Michael Fassbender and Olivia Munn. It should play best to men under and over 25. This episode revolves around Apocalypse, the first and most powerful mutant from Marvel's X-Men universe, who's amassed many other mutants' powers to become immortal and invincible. Awakening after thousands of years and unhappy with the world he finds, he assembles a powerful team of mutants to cleanse mankind and create a new world order, over which he will reign -- as Earth's fate hangs in the balance. The franchise's last episode, "Future Past," opened May 23, 2014 to $90.8 million and did $233.9 million domestically. Looking back at Memorial Day history recalls some of the biggest hits of the 1980s and '90s. Hollywood discovered Memorial Day's boxoffice potential in 1982 when "Rocky III" starring Sylvester Stallone delivered a $16 million knockout punch via MGM/UA for the four day holiday weekend. That was impressive business at the time for a film playing in 939 theatres, which was a very wide release then. Studios quickly realized that big films with strong playability could benefit from a Memorial Day weekend release. A year later, Fox launched George Lucas's "Return of the Jedi" for Memorial Day '83, grossing $41.1 million for six days. Memorial Day '84 saw Paramount unveil Lucas and Steven Spielberg's "Indiana Jones and the Temple of Doom" to $42.3 million for six days. Of course, not every year's Memorial movies did as well as those ultra high profile films did. TriStar Pictures opened "Rambo: First Blood Part II" starring Stallone to a solid but not killer $32.2 million over Memorial Day '85. In '86, the holiday weekend saw the Cannon Group and Warner Bros. unleash "Cobra," also starring Stallone, to an unexciting $15.7 million for four days. The Memorial Day boxoffice sizzled again in '87 with Paramount's $40.6 million six day debut for "Beverly Hills Cop," starring Eddie Murphy. Memorial Day '88 brought Paramount's "Crocodile Dundee II," starring Paul Hogan, with a tame $29.2 million for six days. Second place went to TriStar's opening of "Rambo III," starring Stallone, with a quiet $21.2 million for six days. Memorial Day 1989 saw Paramount's lively opening of "Indiana Jones and the Last Crusade" to $46.9 million for six days. Here's a quick run down of Memorial Day openings since then with their chart positions, distributors and four day (Fri. – Mon.) grosses. Over the years, Memorial Day's proven to be a product-driven rollercoaster ride at the boxoffice. But, clearly, when the right films came up to bat, Hollywood hit some lucrative holiday homeruns. 1991: "Backdraft" -- #1 with $15.7 million (Universal). 1993: "Cliffhanger" -- #1 with $20.5 million (TriStar). 1994: "The Flintstones" -- #1 with $37.2 million (Universal). 1995: "Casper" -- #1 with $22.1 million (Universal). 1998: "Godzilla" -- #1 with $55.7 million (Sony/Columbia). 2001: "Pearl Harbor" -- #1 with $75.2 million (Buena Vista). Columbia) was #2 in its fourth week with $35.8 million. 2003: "Bruce Almighty" -- #1 with $85.7 million (Universal). 2005: "Madagascar" -- #2 with $61 million (DreamWorks). was #1 in its second week with $70 million. 2006: "X-Men: The Last Stand" -- #1 with $122.9 million (Fox). Skull" -- #1 with $126.9 million (Paramount). #1 with $70.1 million (Fox). million (Buena Vista). "Shrek Forever After"
2012: "MIB 3" -- #1 with $69.3 million (Sony/Columbia). 2013: "Fast & Furious 6" -- #1 with $117 million (Universal). 2015: "Tomorrowland" -- #1 with $42.7 million (Buena Vista). Bottom line: Memorial Day weekend ushers in summer movies, but it usually doesn't bring summer weather. The holiday weekend can be cool and rainy on the East Coast and throughout the Mid-West, which is great for the boxoffice. 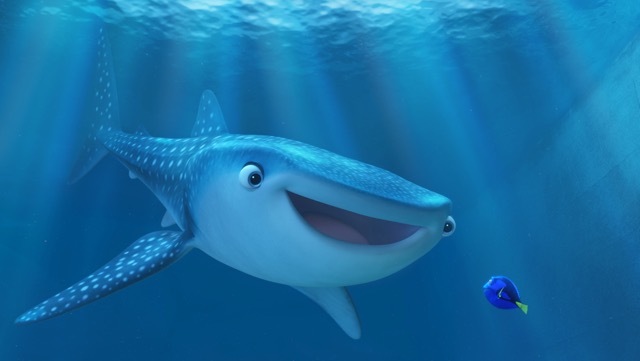 Family films benefit, in particular, because parents struggle to keep their kids occupied over the long weekend if outdoor activities are rained out.